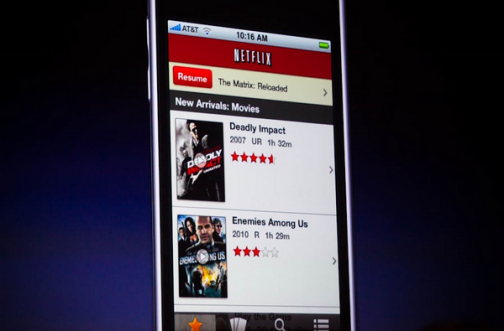 After months of teasing, Netflix announces their FREE Instant Streaming app for the iPhone, iPad, and iTouch. Now you can stream high quality videos anywhere you get an Interweb or 3G connection. This morning at work I’ve started watching Dexter again with the loading time as quick as my PS3. If you have an iPhone and love movies this is the one app for you. Don’t have a Netflix account? It’s easy go to their website and start today, rates start as low as $8.99. This is in no way an endorsed plug, we here at The Reel Place just love our Netflix. Will Rotten Tomatoes Users Suffer Due To Its Recent Acquisition?